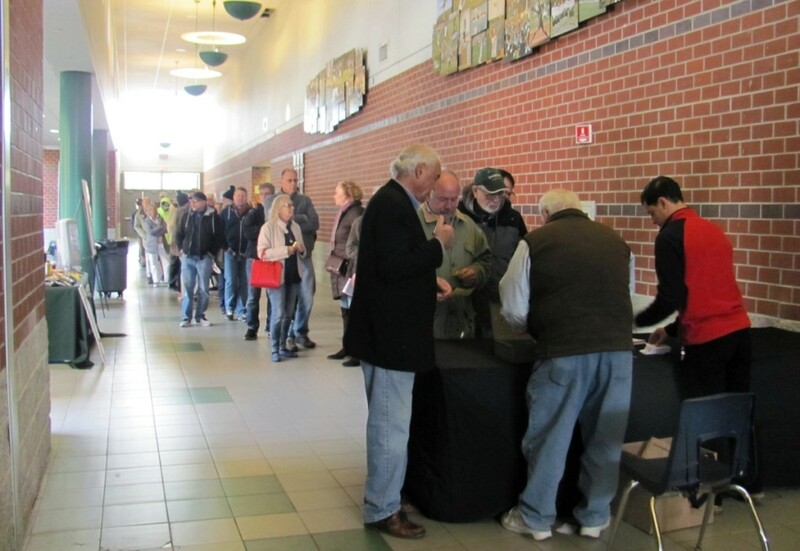 When the show opened at 10 am, the line to get into the show stretched down the long hallway leading towards the New Milford High School gym. NEW MILFORD, CONN. – The morning of Sunday, October 21 dawned cool and blustery but bright and clear for the second annual New Milford Antiques Show. It was a considerable improvement over the weather from the previous year, when torrential rains and winds had been on hand for the inaugural show and suppressed attendance. 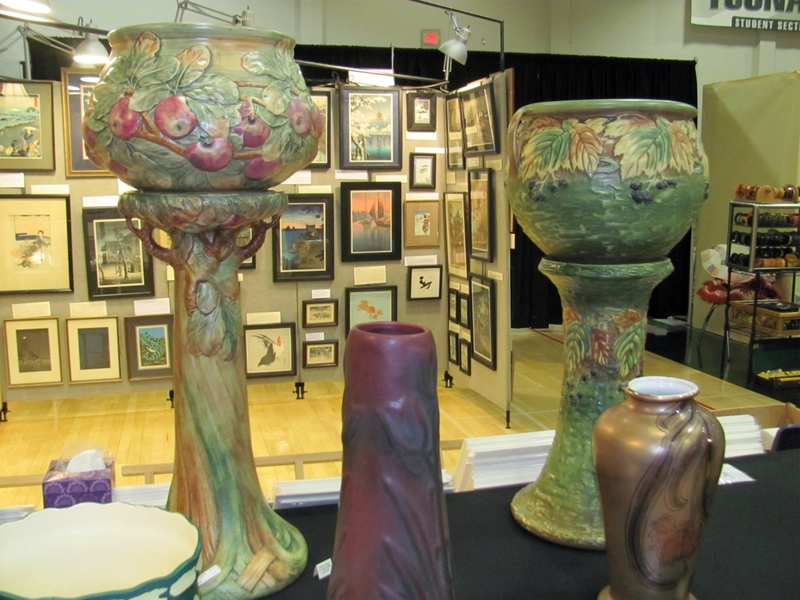 The single-day show, which John and Elizabeth DeSimone of Goosefare Antiques & Promotions put on in the gymnasium of the New Milford High School, featured 24 dealers from New England and New York, a number down from the 31 dealers that had exhibited during the inaugural edition. By the time the gate opened at 10 am, the long hallway leading into the gym was lined with people waiting to pay the admission fee. Students from the high school provided breakfast and lunch, sandwiches and other snacks for purchase outside of the show floor. 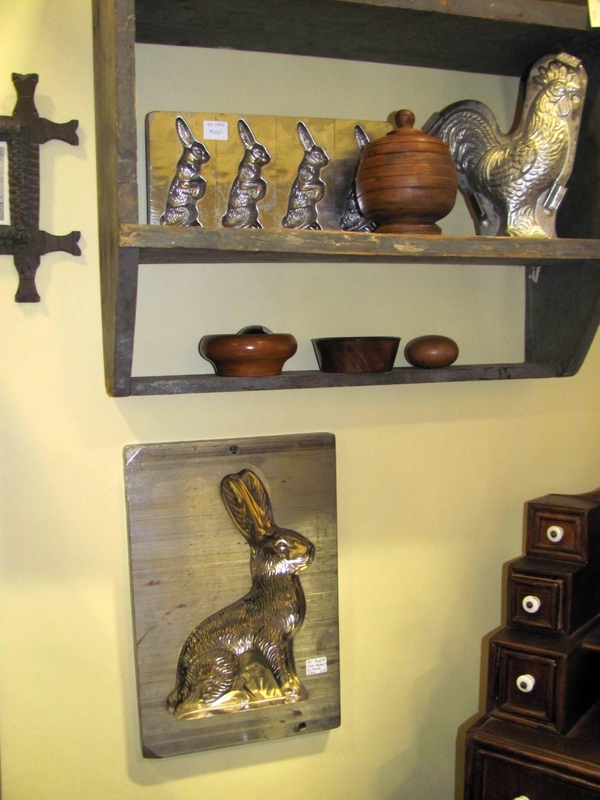 Once inside the door, show attendees jostled each other trying to find wonderful things to buy. 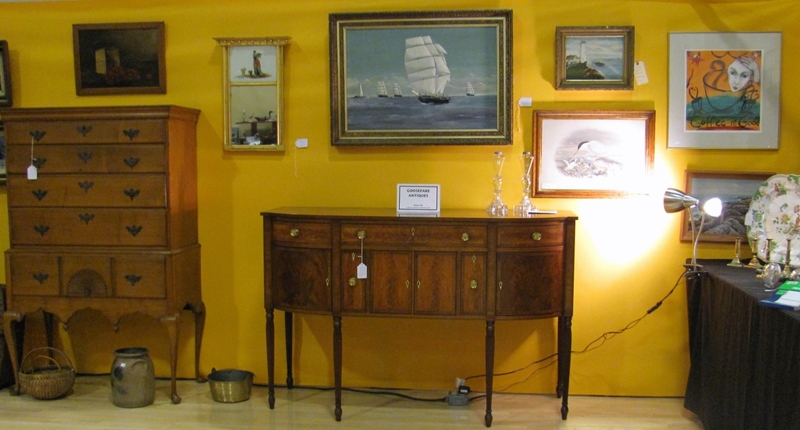 Many dealers reported that attendance had been consistent through the day. DeSimone could not have found a better time or place to conduct an antiques show in New Milford. The show venue is ideally situated on Route 7 in New Milford, just a few miles north of interstate 84 and minutes from Danbury, Conn. It is just half a mile up the road from the Elephant’s Trunk, which has been an antiquers destination since 1976 and is open every Sunday morning from late March through mid December. 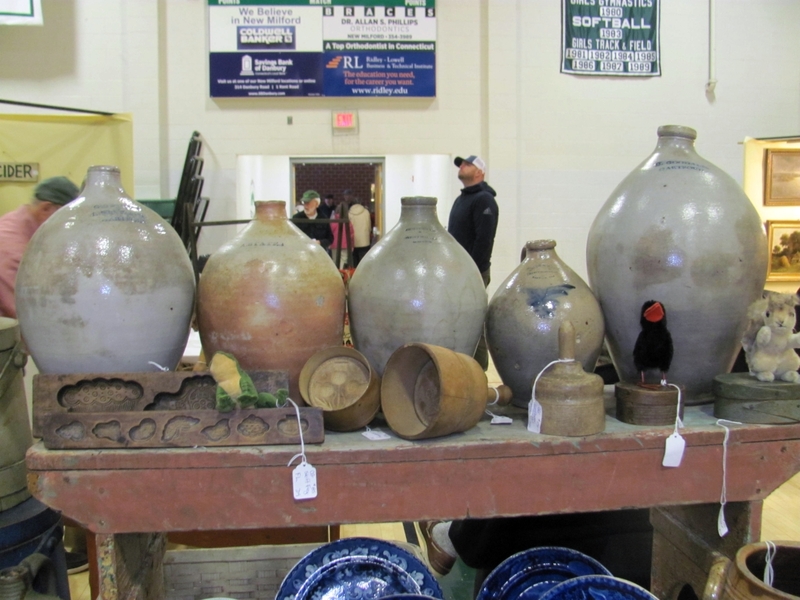 Billed as one of New England’s largest flea markets, “the Trunk,” as it is known locally, attracts a devoted crowd who come to see the eclectic and varied mix of offerings that the approximately 500 sellers have brought. 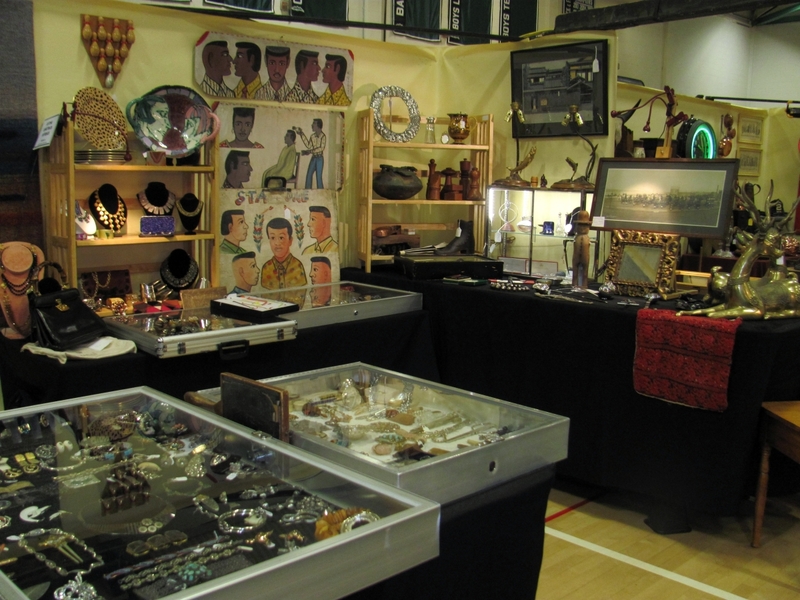 With access to the Trunk field beginning as early as 4:45 am and continuing until 3:30 pm, timing the antiques show from 10 am to 4 pm made it possible for buyers to do both. To capitalize on the proximity to the Trunk, DeSimone had posted signage to the show so that people travelling to the Trunk would become aware of the antiques show. 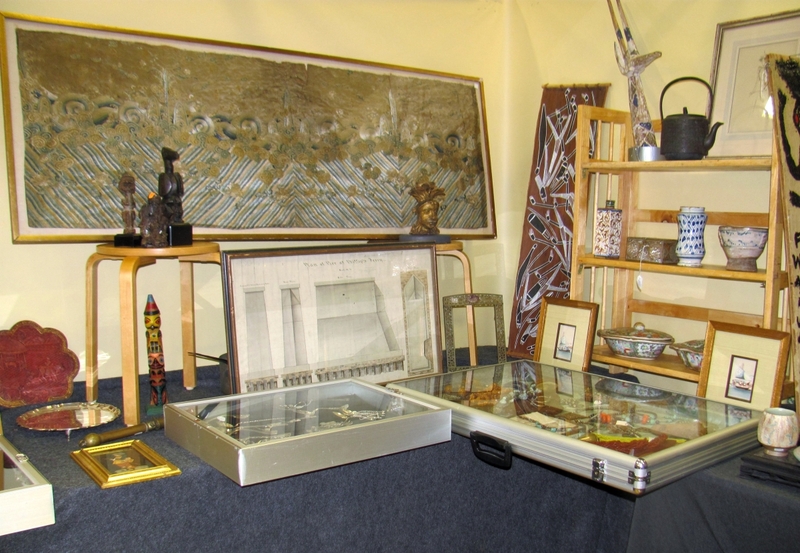 After the show, he said that the show had attracted a lot of flea market shoppers, many of whom were pleasantly surprised at the caliber of objects brought to the antiques show. Patti Bourgeois of Pats Pots had these two striking jardinières on pedestals. The one on the left was made by Weller, in the Baldwin pattern. The one on the right was by Roseville, in the Blackberry pattern. 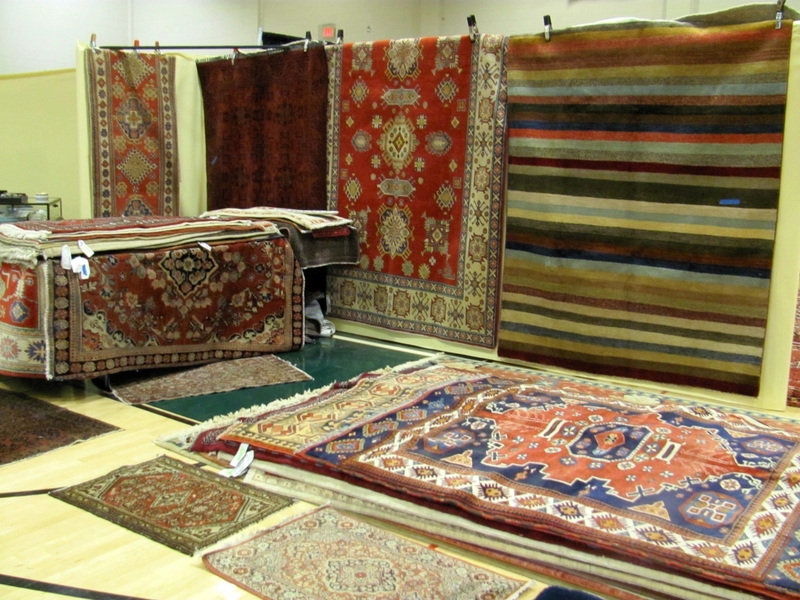 The Westport, Mass., dealer had priced them at $1,295 and $1,795, respectively. 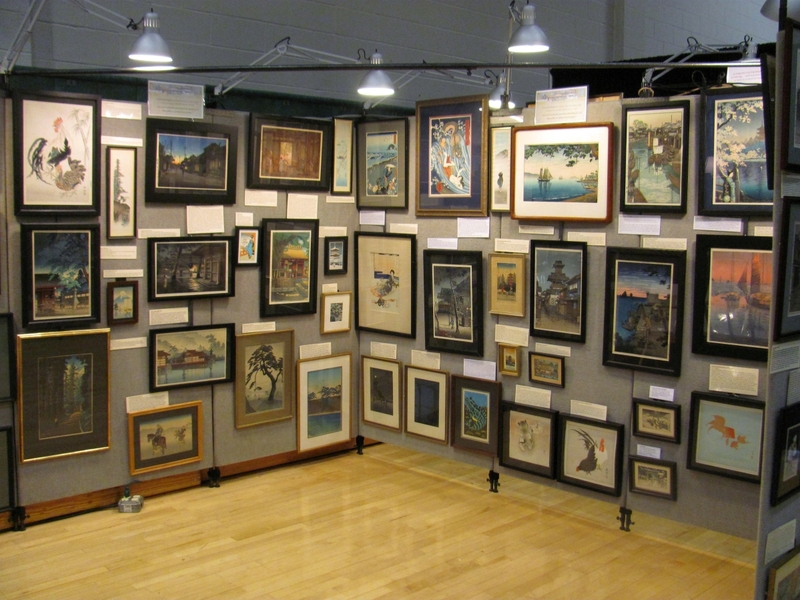 Several dealers reported good sales at the show. 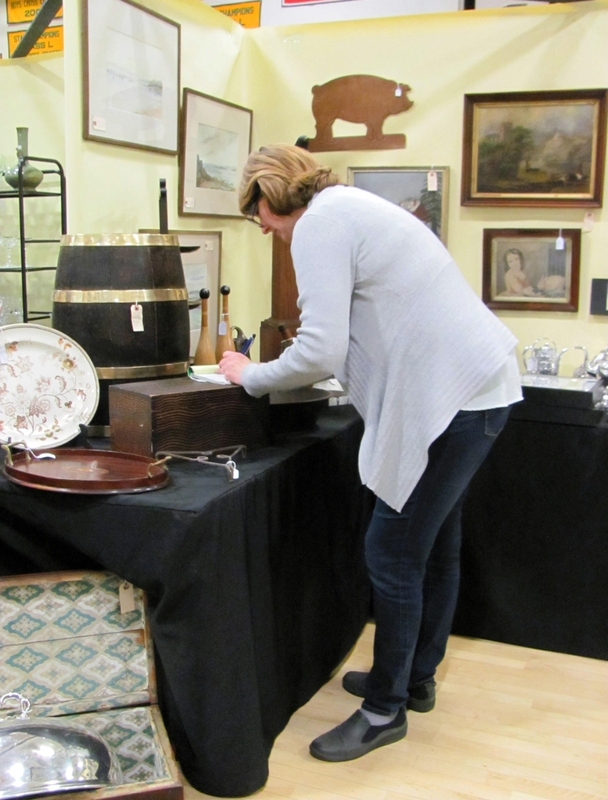 Deirdre O’Callaghan, Partridge Hill Antiques, Castleton-on-Hudson, N.Y., reported selling a Chinese Export bowl, several pieces of silver and a Midcentury Modern water color. She also sold a transferware platter and a pair of Canton plates on Facebook during the show by posting photos of her setup. Ironstone Antiques, Hardwick, Mass., had a very busy booth, at many times standing room only, with many customers vying for attention. 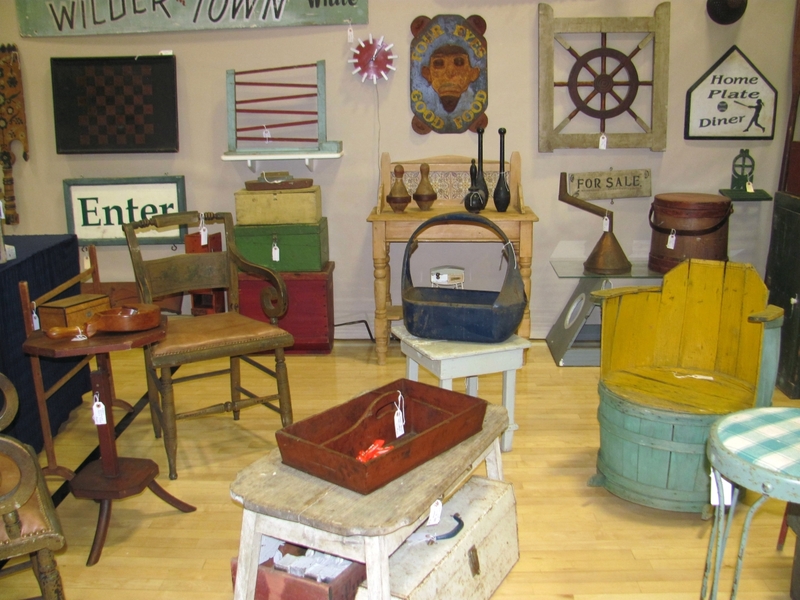 The dealer reported selling a Nineteenth Century “homemade bread” country store display; folk art game board; merchants’ desk; noodle board; large Maine ice tub; Eighteenth Century Federal chair; an Eighteenth Century wall candle box; and many small country items, such as chocolate molds, hearth irons and tin ware. The dealer said they were looking forward to returning to the show again next year. Jim Twining of Ravens Way Antiques sold a number of lower end smalls, mostly tools, which the North Kingston, R.I., dealer, said are an old favorite of his. 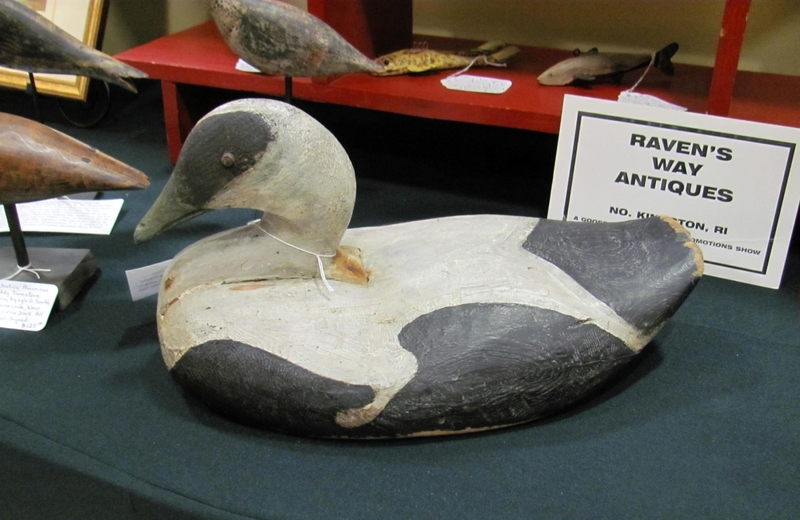 He had what was probably the best decoy at the show, an eider drake decoy from Monhegan Island, Maine. 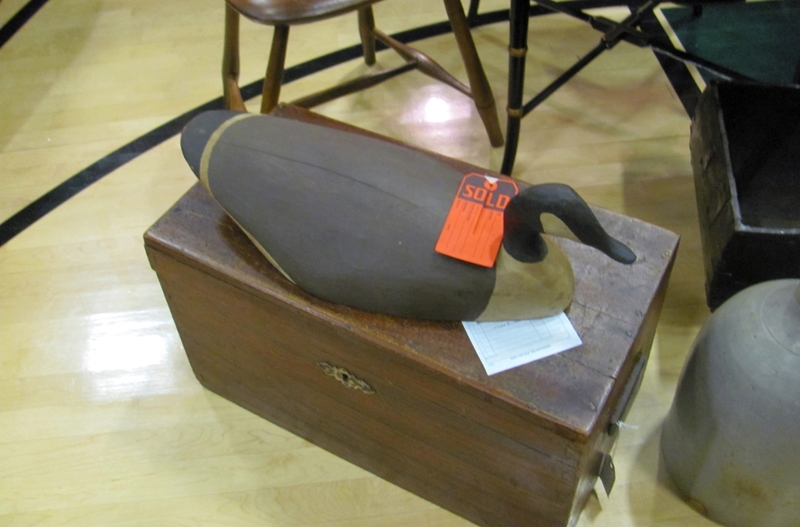 The tag said it had been in the collection of Adele Earnest, an early scholar of decoys and the author of The Art of the Decoy. It was priced at $2,400. Tom Lautenschlager of Kathy & Kim’s Corner Cupboard particularly likes banjos and had brought several to the show. The Woodbury, Conn., dealer had a few examples, from a mid-Nineteenth Century minstrel period example with mother-of-pearl inlay and housed in a custom case he had made to more modern examples of various sizes and ages. The largest he had on hand was an Orpheum six-string guitar banjo. W.S. Korzick, New Haven, Conn., had many wonderful things from an Old Lyme, Conn., house, which the dealer described as a “time capsule.” Some of these included a very nice grain painted document box and a short Shaker bench that the dealer thought was from Enfield or Canterbury, N.H.
Sherry Cohen of Up Your Attic Antiques, Framingham, Mass., had an unusual pair of folky decoys that she had purchased from an auction. 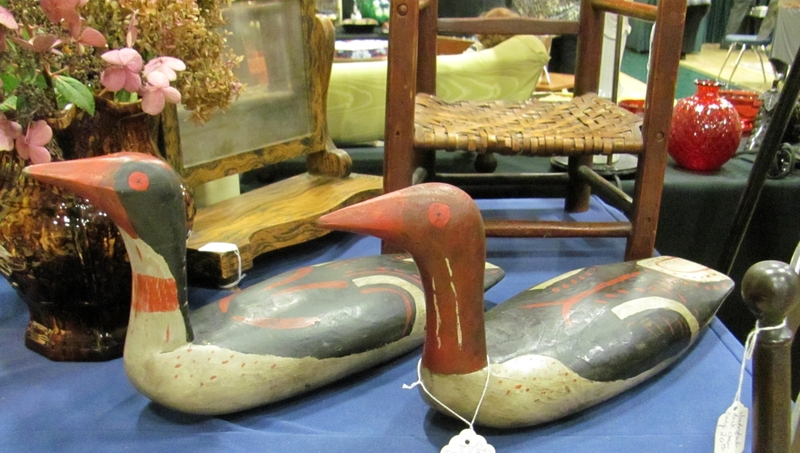 The auction house she purchased them from had not noticed that they were marked by Bob Biddle, a noted Twentieth Century Pennsylvania decoy carver. In researching them, Cohen had discovered that pairs are rare and she had priced her pair at $995. 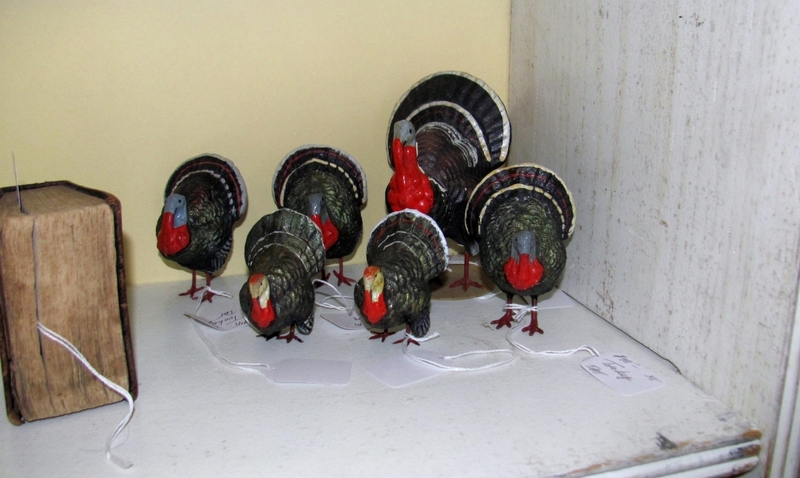 Dealers were in the spirit of the season, with many having Halloween candy out for showgoers or vintage Christmas ornaments, such as those in the booth of Pantry Box Antiques, Stafford Springs, Conn. Thomas M. Thompson, Pembroke, N.H., had a flock of six miniature turkeys, one larger than the other five, priced individually. 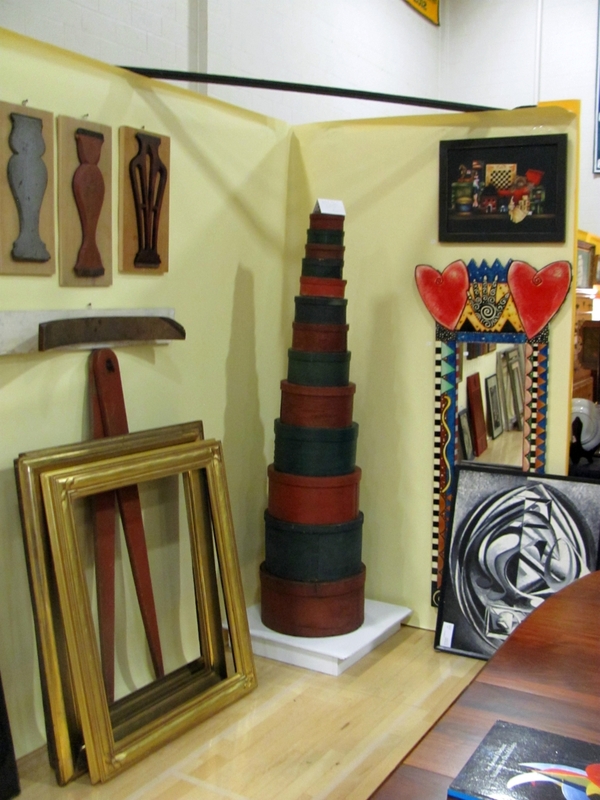 The Antiques Show benefits the New Milford High School Principal’s Advisory Council (PAC). New Milford High School principal, Greg Shugrue, who was on hand throughout the day manning the grill and speaking with attendees to the antiques show, explained that monies raised from the show would benefit the high school students and help defray the cost of the 2019 prom. High school students were available before and after the show to help dealers load in or out. 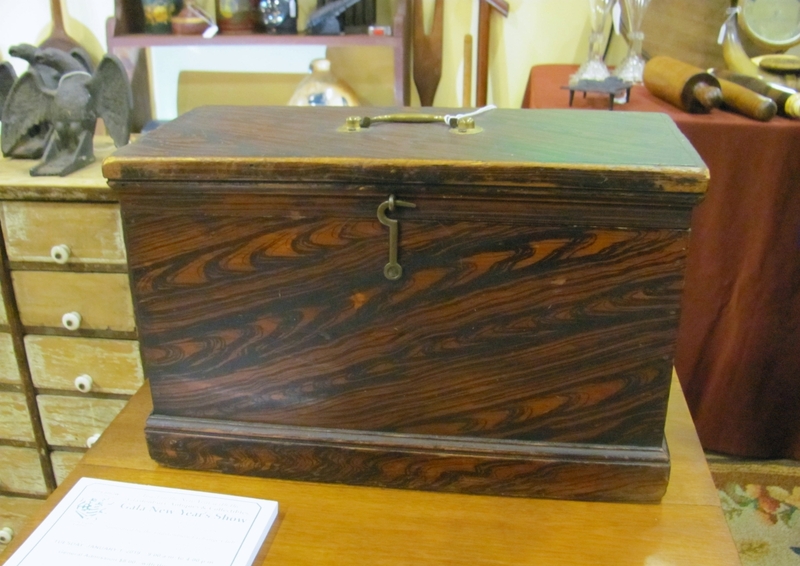 For more information on Goosefare Promotions, 800-641-6908 or www.goosefareantiques.com. Tom Lautenschlager of Kathy & Kim’s Cupboard, Woodbury, Conn., specializes in banjos and brought several to the New Milford Antiques Show. The minstrel period example on the wall, dated to the 1850s, was in a shop-built case Lautenschlager had made. Though it was in rough condition, with several pieces of mother-of-pearl inlay missing and a cracked hide drum, it was an eye-catching piece. The photograph hung below it was by AB Frost, circa 1888, and was priced at $325.